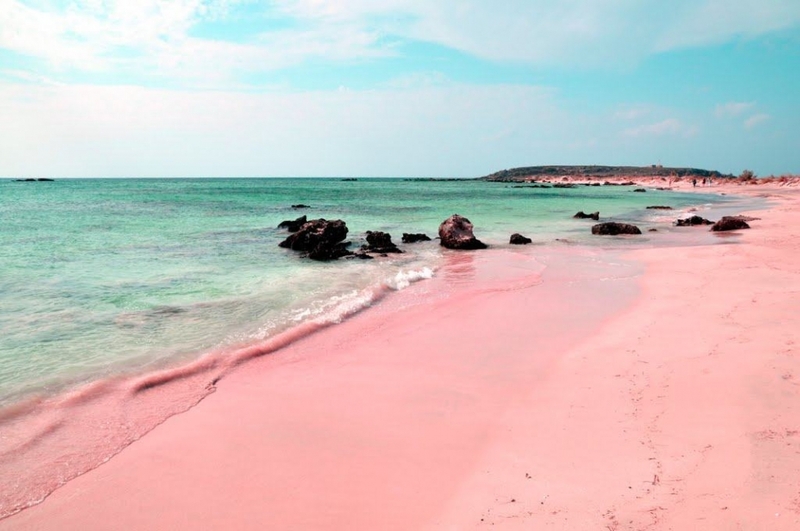 The Pink Sands Beach, Harbour Island, the Bahamas. Found on the one of the smaller islands of the Bahamas, the beach provides a perfect place to sunbathe and swim in the warm crystal clear water. But the most impressive thing about it is a 5 km (3 mi) long stretch of soft pink sand! It makes it one of the most unusual beaches in the world. The light rose color is a result of foraminifera – a marine animal – and its red shell, which crushes and later mixes with the white sand. The elegant island provides numerous resorts, that ensure ultimate relaxation in these pristine surroundings. Visitors can go swimming, snorkeling and fishing, while in the evening they can visit the town and enjoy its exciting nightlife. This is one of the most unique and beautiful beaches in the world! Also the Bahamas is a desirable holiday destination, since it has numerous great beaches and resorts. The weather is warm all year round. Summer is the hottest and the most humid season of all. Get here from the Bahamas, Fort Lauderdale or Miami to the North Eleuthera Airstrip. From there catch a ferry, which will take quickly to Harbour island.